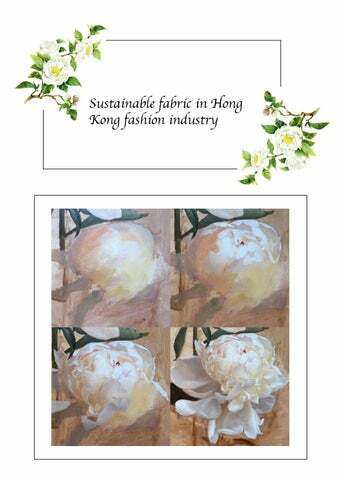 In this individual proposal is going to analysis the sustainable fabric development in Hong Kong fashion market and how high acceptable of sustainable fabric in public. Science and technology improve day by day. Some fashion brand in order to attract new customer will use some special fabric in the new product. But some fabric started in the manufacturing and decomposition process is harmful to the environment. Also, some fashion brand in order to follow the trend and reserved the old customer that will constantly launch new collection in to the fashion market and ignore the fabric in environment sustainable. As a result,In this project aims to know sustainable fabric is famous or not famous to use in different fashion brand and the of advantage and disadvantage to use.Also,it can know which fashion market is need to use sustainable fabric in public. In the responsibility of clothing brand,the world's leading clothing brands are not only market leaders, but also responsible for their use. Its influence can improve the use of toxic and hazardous substances in the entire textile industry in the production process. The status quo also gives our next generation a clean, non-toxic future. Abuse by the textile industry The pollution caused by harmful substances needs to be resolved, and Greenpeace calls for these knowledge. Famous brands take responsibility for industry leaders, openly promise and start taking practical actions Achieve the goal of comprehensively eliminating toxic and hazardous substances by January 2020. In the responsibility of consumers, we should not let children grow up under the threat of toxic and harmful substances, parents And global consumers have the right to demand that these well-known brands no longer use toxic Substance manufactures clothing products and pollutes the environment. There are also claims to the government as soon as possible Set a sound chemical management policy to protect people's health and children's future. What is organic natural fabric? According to Telio Organic and Eco-Friendly Fabrics Report(2014) Organic textiles are grown in controlled settings with no pesticides, herbicides, or other chemicals. Only natural fertilizers are used and the soil and water are monitored. Organic fabric include organic cotton, organic wool, organic silk, organic linen and organic lapin. According to Green fashion(Subramanian Senthilkannan Muthu, Miguel Angel Gardetti â&#x20AC;&#x201C; 2016). The process of caring for rabbit hair is very complicated and can't be taken with a razor. 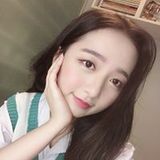 Because the hair quality will be peeled off directly, the merchants will pick the rabbit hair more cruelly, such as flake the rabbit hair and the skin under the rabbit hair will peeling off together. Peeling, in order to make it easier to make new shirts in the production process, picking rabbit hair by "cutting" or "shaving", the hair-free will not be connected, that is, "spread out" Aggravate the cost of producing woolen clothing and dolls.As a result lapin is not famous fabric in fashion market.In contrast, organic wool and organic cotton is the most famous in fashion market.Although their have so much advantage of sustainability, their cost and price is high.Therefore,some people will concern the price and choice to buy other material.As a result,In this proposal is going to analysis the organic fabric in market value and why people need to buy sustainable fabric. According to Superdry Annual Report(2017)Organic cotton is popular in recent year,Superdry is one of the brand to aims 100% organic cotton product.Some brand also is started to use organic cotton. Although the cost of organic cotton is more higher.But the benefits are far greater. At present, cotton production accounts for 2% of the world's arable land, but it uses 25% of the global agricultural pesticides and 10% of the global pesticide use. People use too much to get these cotton, and they pollute the environment and themselves with pesticides. According to the World Health Organization (WHO), in the third world countries where cotton is planted, 20,000 people die each year from pesticide poisoning. Some supporter strong to promote the organic cotton and the organic cotton yield is keep it increase. In 2013/14 is increase 10% yield.As a result the organic fashion have market value. In the same report,compare with kids and adult clothes. Organic fashion is more famous in kids wear market.In the high knowledge society,some parent have high knowledge and worried about the kids grow up environment. Pollution on the earth is getting worse such as air pollution.Some parent want to provide a health environment and protect to kids.Sometime,clothing is one of the important thing to protect children skin health.Even adults wear. According to Hong Kong Allergy Association report(2015), Successfully visited 511 mothers and found that three quarters(75%) Respondents' children have or have had sensitive symptoms, mainly eczema/skin sensitive (58%).A few respondents asked the doctor the clothes is one of the allergen.According to cosmopolitan report, Nowadays, many clothes are made of man-made fibers. The heat tech that must be worn every winter is also based on polyester fiber. Because of the low air permeability, it can effectively lock the body temperature and achieve warmth and perspiration. efficacy. Also because of the low air permeability, when the fiber contacts the skin, it is also prone to allergies, skin sensitivity, especially the onset of eczema. In addition to protect the health, fashion market value,Organic is needs or not in the fashion? In the society have two voice to follow this question. According to the Organic Cotton: Is it a Sustainable Solution?,Sustainable fabric can help effectively in sustainability.Such as famers health,live hood and environment protect etc.Organic fabric demonstrates extraordinary advantages at different levels of the esteem chain(organic cotton it is a sustainable solution p.152 1.17).Oragnic cotton can make some people strong their environmental protect concept. Also can increase their knowledge to know that organic cotton have some benefit or bad in fashion develop.Even the organic fabric have so much benefits to use.But the one of worried about is the price.Some user concern the price and think that the price can buy more high design or high quality clothes and may not choice organic product. Also,some fashion brand is concern in the cost and sales volume may not choice organic material.This study is going to focus to improve the fashion brand use organic fabric intention in Hong Kong. According to Baby clothing in mainland China: consumption characteristics(Zeng Shiyun ,2015) As the economy of the Chinese mainland grows, parents' purchasing power increases; they are happy to dress up their children and pursue beautiful and fashionable children's wear. In recent years, large enterprises and international clothing brands have actively expanded the Chinese children's wear market. Mainland children's choice of children's wear brands and styles is becoming more and more abundant, and market competition is becoming increasingly fierce. When parents buy children's clothing, production materials and design safety are still the primary considerations. In this study would focus to improve the comsumer intention to buy the substinable fabric and increase fashion brand build up organic fashion shop in Hong Kong.Moreover, according to organic cotton it is a sustainable solution(2018),the society status,economic status ,knowledge level,technology also will affect company and customer use sustainable product.In this study,it is hope that can analysis fashion brand and consumer behavior in green fashion and improve their use desire and ameliorate the organic fashion Inadequacies.For example,the design,price,company benefit and substantiality. In the recent year,green fashion is one of the hit argument in Hong Kong. According to the "Consumer Habits and Psychological Survey" published by Greenpeace at the beginning of the year, Hong Kong people spend 25 billion Hong Kong dollars a year to buy clothes. Women in Hong Kong and Taiwan have an average of 109 clothes, 20 of which are no longer worn, and more than 50% are interviewed. Have clothing that has not been cut price cards.The Hong Kong local brand Green Ladies is one of the green fashion concept shop in Hong Kong. They mainly sell some second-hand clothes, some are organic clothes. According to their opinions, it is impossible for human beings to completely abandon the purchase of clothing. We can make smarter choices on the question of "what to buy" and "how to buy". At present, more and more brands use organic materials as clothing materials, and they also pay attention to the ethical issues of zero cruelty and non-exploitation of workers. It is a good choice. But think more, how do we continue the life of a piece of clothing? this proposal aims to investigate the benefit and disadvantage of sustainable fabric and analysis which fashion market is the most need this and have sales value.Furthmore,identify the the problem of organic fabric selling and find out the reason which would affect the consumer spending intention and improve their knowledge for the reason need to use sustainable fabric.Also, recommend fashion brand consider use in sustainable fabric by the research results of the report and the intention of the customer. The goal of this study is aims to formulate advice to enourage public attention in the sustainability issue and increase their purchase intention and each fashion brand responsibility. Also,to analysis it is consumers feeling sustainable fabric is fashionable and how they feeling in the sustainable fashion? According to A Theory of Human Motivation(1943), The individual is a unified, organized individual, and most of the individual's desires and impulses are interrelated. What drives humanity is a number of unchanging, inherited, instinctive needs that are not only physiological but also psychological. They are inherent in human nature. Culture cannot kill them and only suppress them. The needs of human beings are in the form of layers, starting with low-level needs and moving up to the needs of higher levels. When a set needs to be met, this set of needs is no longer an incentive. In this study,It will use three hierarchy of Maslow include Physiological Needs ,Esteem Needs, and need for Self-Actualization Needs. First of all,In the Physiological Needs,This is the most basic requirement for human beings to maintain their own survival, including the requirements of hunger, thirst, clothing, housing and travel. If these needs are not met, human survival becomes a problem. In this sense, physiological needs are the most powerful driving force for people to act. Maslow believes that only when these most basic needs are met to the extent necessary to survive, can other needs become new stimuli, and by this time, these relatively satisfied needs will no longer be motivating factors.Clothing is one of the important thing in this part for human. People needs to wear their fix clothing include the functional, design and material.Also,some people have sensitive skin,baby skin also is weak.According to the Organic Cotton:is it a sustainable solution? (2018,P.172) Compared with conventional fabric,the organic fabric have not irritating to baby or kids skin.As a result,organic fabric have to spent for some parent customer.As a few newborn baby can not touch too much chemical thing even polyester or conventional cotton that it must need to find some fix fabric and clothing with baby even adult.In this part, organic fabric is met some consumer needs. Furthermore, In the Esteem Needs, Everyone wants to have a stable social status and requires their personal abilities and achievements to be recognized by society. The need for respect can be divided into internal respect and external respect. Internal respect refers to a person who wants to be competent, competent, confident, and independent in various situations. In short, internal respect is human self-esteem. External respect means that a person wants to have status, prestige, and is respected, trusted, and highly valued by others. Maslow believes that respect for needs needs to be satisfied, that people can have confidence in themselves, be enthusiastic about society, and experience the usefulness and value of their lives.According to IMI Consumer behavior and life style(2005), High academic qualifications and high social status person generally care about what others think of themselves include their consumption pattern,exterior,social responsibility.When the customer buy sustainable fashion they will feeling the Sense of success and Responsibility. Some time they will get the appreciate as they buy the sustainable fashion is helpful to the environment and sustainabiliy.This feeling is one of the reason to encourage them to support the sustainable fashion. At last,In the Self-Actualization Needs, This is the highest level of need. It refers to the need to achieve personal ideals, ambitions, personal ability to the fullest extent, and to accomplish everything that is commensurate with one's own abilities. Maslow suggested that the approach taken to meet self-fulfillment needs varies from person to person. The need for self-realization is to strive to realize their potential and to become more and more the person they expect.Some of customer know that the sustainability is a serious.In the questionnaire research, also can know that some customer buy the organic fashion is for sustainable.The reason of them to buy sustainable fashion in order to help the worker equity and ethics. In the primary research, Accoding to Morse(1994) It will use interview and questionnaire to collect the data.In the questionnaire, there is no need to arrange a large of interviewers to visit, just send the questionnaire to the respondent, and then withdraw the questionnaire.It is very fast and can collect a large data in short time.Further more questionnaire can set some simple question to ask the respondent like yes no question.The respondent will not feel tired and quick to finish the question.Then,internet questionnaire is popular in recently year.There is no need to arrange a time to meet with the respondent. The respondent can fill in any venue, at any time, and then return it as directed.Also it is environmentally compare with paper questionnaire.Moreover,In the questionnaire setting,the most important question is the age of respondent.Age data can analysis the respondent group and speculate their identity include parent,audlt,eardly.Also,It have asked their attitude of sustainable fashion.Such as, the reason of them to buy organic clothing.It is Durability of fabric? Eco friendly? Comfort of fabric? Skin protect?or Sustainable?furthemore,if the respondent have buy organic clothing it will continue to asked them which item is the most they want to buy in organic fashion market like T-shirt ,shirt,shorts.If the respondent have not buy organic clothing it will continue to asked the reason of why they do not buy like is it the price?design?or lack knowledge of sustainable fashion.A good questionnaire setting is important of the data analysis. In interview, Since interviews are often face to face conversations, there are fewer respondents rejected the question and higher response rates. Even if the respondent refuses to answer certain questions, also can get an overview of his attitude towards the issue. Furthermore,can get more accurate and deep information in the interview.Along with the question,it can be change more deep question or other additional question.It can collect more helpful information in the proposal analysis. Restrictions Based on Sustainable fashion and textiles:Design Journeys(Kste Fletcher,2013),the market of sustainable fashion is not all successful.For example,the organic wool market is very small. Moreover,some fashion brand concern in the cost and the involute manufacturing process of organic fabric their will not consider to use this material.As a result the fashion company needs to do some precedent and attract other brand. Fortunately,some company is going to give impetus and make the market growing. Such as Marks and Spencer,H&M, Superdry, Nike,etc.Their company also started to attention in the sustainability market and initiative is sourcing a range of more sustainable fibres, including organic wool.In this study,It is need to bring out how Stustainble fashion can successful between profit and company responsibility. Furthermore, According to the simplififabric report(2018),the one of the organic fabric problem is product colors.As the organic cotton need to use natural dyes to make different colors that the colors are limited, and the chemical dyes contain chemicals so it is cannot be used in organic fashion.It is worried about customer behavior. Some customer do not want to spend more money in organic clothing. In the research tools first hand data can be collect in the interview and online questionnaire.But some deep literature and topic knowledge can find in the internet.In this part,it has use different tools to help in the data collect and analysis,In the secondary research,some of literature , book and report can be find in the internet.Some of them is published by famous scholar and professional worker. Also,a few data in the secondary research is specialized c ompany or statistics department to get the data.As a result it is more persuasive and professional. Furthermore, it is easier to get some information that is difficult to collect, such as how many regions and countries around the world use organic cotton and environmentally friendly materials.As a result, making good use of second-hand information is very helpful for improve the report level. In the sampling methods,the foucus group of this research is 28-32 age group.Some of them is get married and have kids.According to the research data and information.The most big market of sustainable fashion is adult and kids.In 22 interviewer,50% around 28-32 age and 55% aware of organic item of clothing.Also,67% think that the Eco friendly is the reason of them to buy.58% think the material is the reason of them to buy.Furthermore 67% people is for the skin protect and 40% is for sustainable.In this data can be show,some of customer to spending money in organic clothing is for the skin protect and environment protect.This is mean some of them have a common senses need to do in the sustainability.As a result, the organic fashion is attract customer. Furthermore,81% respondents buy organic clothing in the internet,This is bring out a message the internet shop is famous in customer. Also,online shop can compare with other shop and convenience.Also,the online shop is low cost than specialized shop.Some of organic clothing brand can build in the online and less the cost.As a result this is a big consumption habits of consumer and organic clothing brand can consider to develop in this part. Moreover, two of the big reason with customer have not buy organic fashion is the design and they donâ&#x20AC;&#x2122;t know what is organic fashion.In this study it is suggest government and industry can promote more the sustainability concept in the social media.Also the brand can increase more special idea in the design like cooperation with street brand and fashion to attract customer. Analysis techniques In the Analysis techniques,It have use a lot of techniques to analysis.Such as SWOT Analysis to analysis the good and bad of organic market.Evaluating the market strengths, weaknesses, opportunities and threats in external competition, it is necessary to conduct an in-depth and comprehensive analysis of its own and the positioning of competitive advantages before formulating its development strategy. Also,in this study brainstorming and Mind Maps and Six Questions also is helpful in the analysis.It can help to thinking more about the topic such as the solution and questionnaire setting. Sustainable fashion is old discussions in the world.In recently year,some Equity and moral news of famers and factory worker and green fashion is hit in the society. This is make the discussions be attention. Some of fashion brand is started to finish the sustainable fashion.In recently year,some worldâ&#x20AC;&#x2122;s fashion brand include H&M(Arket),Nike, Superdry and a few street fashion brand is cooperation with organic fashion factory.Also they are attention in the design and color.As a result is can attract some young customer. . In the conclusion, According to the primary research and secondary research, Organic fashion development in Hong Kong is not completed and consummate.Some of brand is still concern organic fashion cannot gain profit even deficit.But some data and example tell us,organic fashion can be a big market in the world.Also the kids market is the most to be popular. As a result,It is suggested organic fashion is seam with other fashion item. As long as the brand can make a product equal to the price include unique design, Public welfare, sustainability and government advance more promote and policy to encourage the sustainable fashion.I believe the sustainable fashion can be success development in Hong Kong.